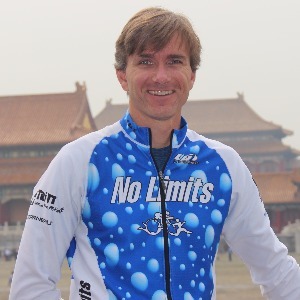 I am Head Coach of No Limits based in Calgary Canada. I have complete in over 100 triathlons ranging from sprint to Ironman. Over the last 10 years I have specialized in coaching athletes online wanting to complete an Ironman or half Ironman distance event. Each year I encourage my athletes to come with No Limits on training camps to awesome destinations like Hawaii, California, Puerto Rico and Spain. With a good map to triathlon there are No Limits to what we can accomplish. Todd Malcolm, MSc. is a Calgary Triathlon Coach who has been involved in the sport of triathlon as both an athlete and a coach. During his 20+ years of racing experience he has been a four time member of the Canadian Triathlon Team, 3 time Olympic Distance Provincial Champion (25-29 x2 and 40-44 Age group), qualified for the Elite Alberta team. He has competed in over 100 triathlons with experience in sprint to Ironman distance races. In the last three years Todd has been an Ironman All-World Athlete. He has been coaching juniors and adults of varying ability for 15 years. Todd has competed in 12 Ironmans including Ironman Hawaii. Todd's favorite race is Hawaii 70.3 Ironman with his highest placing of 5th in his age group. I have triathlon training from NCCP, Slowtwitch and Ironman University. I accept athletes of all levels who have a strong desire to complete their chosen goal. Success. Coach Todd Malcolm has been notified of your message.